Lila M. Clements, age 90 of Winona, died Wednesday, November 21, 2018, at Saint Anne Extended Healthcare, Winona, MN. Lila Mary was born November 30, 1927, in Richland County, WI to Edwin and Freda (Rath) Schmidt. She graduated from Richland Center High School in 1946. After graduation, she worked at JC Penney where she met Robert Clements, a co-worker and her husband to be. On May 23, 1950, she married Robert in Richland Center, WI and together they raised five children. Lila worked for several retail stores in Winona: JC Penney, Ahrens Shoes, Allen’s Clothing, Allen’s Hallmark and Woolworths, retiring is 1993. After retiring she worked part time at several stores on Third Street, Winona. 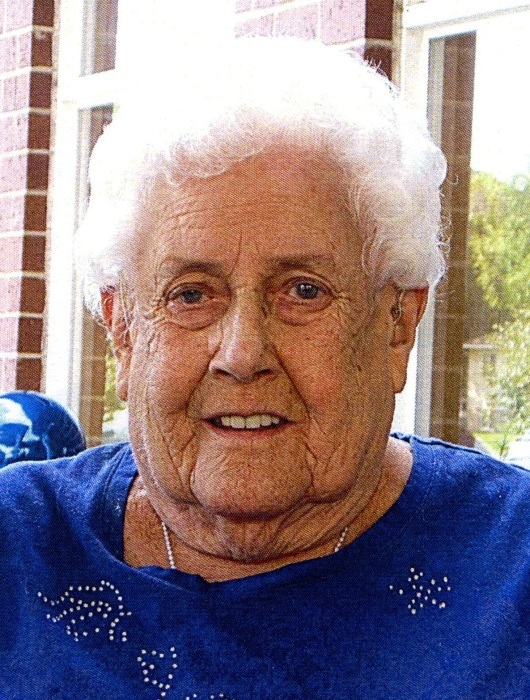 She was a member of Central Lutheran Church, Winona. She is survived by three children: Dennis Clements, Dodge, WI; Kathryn (Gary) Cummings, Rochester, MN; and Patricia (Michael) Beech, Winona, MN; six grandchildren: Michael (Tina) Cummings, Candace (Sauron) Chartier, Kateri (Ricky) Holcomb, Justin (Ednalyn) Clements, Krystal (Kyle Wiskow) Beech and Brandon Beech; 12 great grandchildren; a sister-in-law Doris Schmidt, and other relatives. She was preceded in death by her parents; husband Robert; two sons: Gregory and Jeffrey; a sister Mae Deaver and a brother Herbert Schmidt. Funeral services will be 10:30 a.m. Saturday, December 1, 2018, at Central Lutheran Church, Winona with Rev. Mike Zaske officiating. Interment will be at St. Mary’s Cemetery, Winona. Visitation will begin at 9:30 a.m. Saturday, at the church. The family request memorials be directed to: Ash Creek United Methodist Church, 28820 Henry Clark Lane, Richland Center, WI 53581 or Winona Health Hospice, 175 Wabasha Street, East, Winona, MN 55987.